Move over ramen, there’s a new noodle in town. Udon lovers are in for a real treat, and for those who are unfamiliar with the deliciousness of the thick wheat noodle — just wait. Love Art Udon, the sister spot to Back Bay’s Love Art Sushi, is slated to open on Monday, November 5th, combining the craft of Japanese cuisine with more approachable American-style counter service. 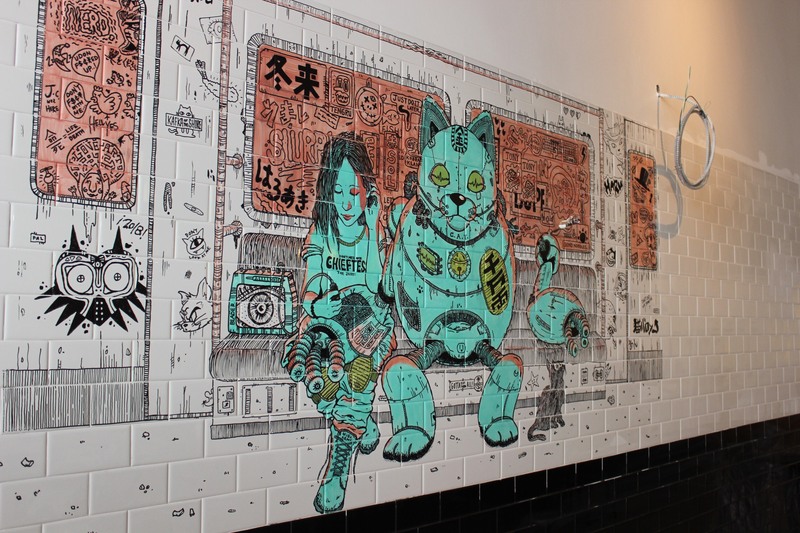 Step inside the Commonwealth Avenue locale, and you’ll see dark natural wood tables, white marble countertops, black & gold accents speckled throughout the space and artwork from local Japanese-American artist Hayato Kawaii on the walls. The aesthetic is very much street art meets anime, staying true to the Love Art brand while also paying tribute to the restaurant’s roots. Co-owners Jessica Chiep and Ronald Liu are the originators of all the recipes, which were largely inspired by their adventures abroad, with distinct flavors and accompaniments. Take note: these won’t be your standard dishes. 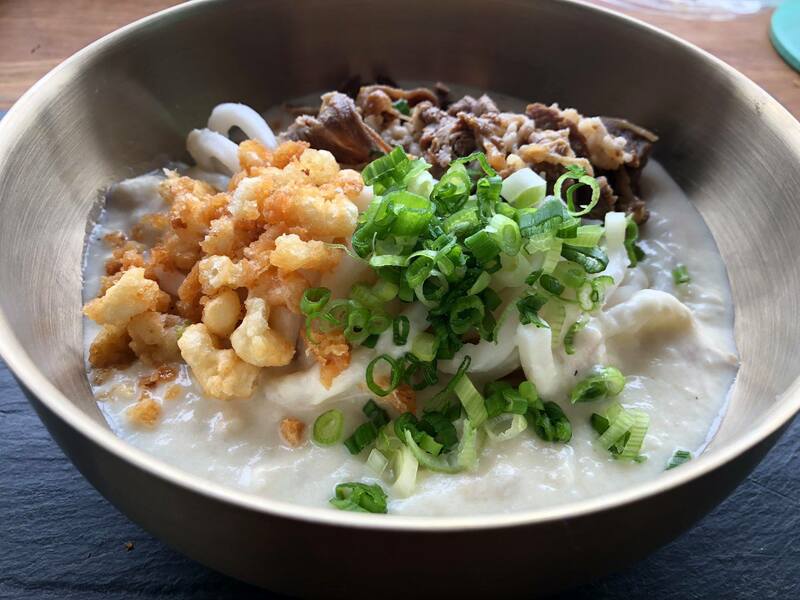 Each bowl starts with made-from-scratch udon noodles followed by your choice of a savory house broth like classic soy dashi, vegan friendly miso, hearty Japanese curry or “clam chowdah,” which pays homage to Boston’s iconic eat. Once you’ve picked your base layers, it’s your time to shine! You can add a la carte toppings of your choosing — there are over 12 choices of different tempura including shrimp, kale, sweet potato and whitefish — to create a completely customizable meal. The fast casual joint keeps things quick and snappy with a down-the-line service counter. Take your meal to-go, or stay put and get your slurpin’ on ASAP (because with udon this good, you won’t want to wait). Want to try Love Art Udon for yourself? Visit them at 1024 Commonwealth Ave, and see the menu at loveartudon.com.